September 20th I was privileged to cover Bekka and Matthias' wedding. First off, the venue was the first of it's kind for me to cover. I've never photographed a wedding in such a location like the Scarab Club in Detroit's Midtown. 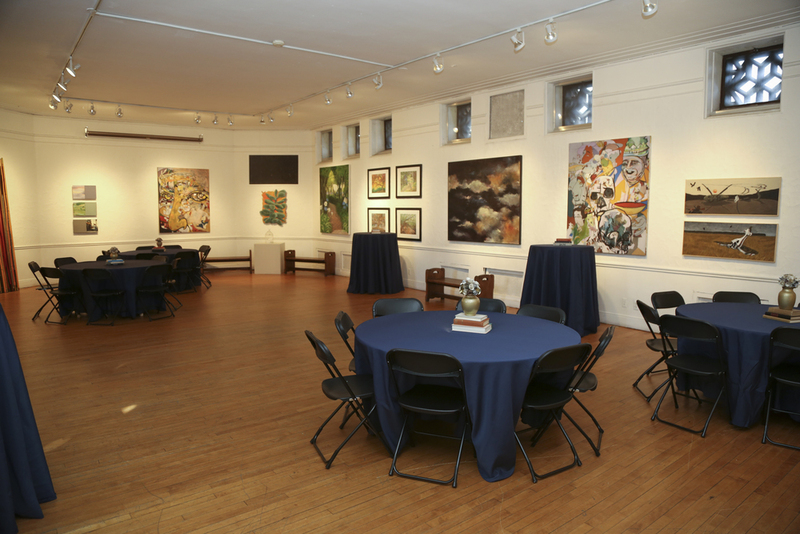 The setting here prompted me with so many ideas as I looked to utilize as much of the space as I could. The layout also gave Bekka and Matthias the small scale, private wedding they desired. But before I get more into the day at the venue, let's backtrack to where the day started. It was a beautiful and radiant morning. I met the bride and her bridesmaids at a loft in Midtown. Bekka was getting ready so I decided to snap away while she prepared herself to knock Matthias' socks off. Her dress was glowing. It was like her joy and anticipation were woven right into the fabric. 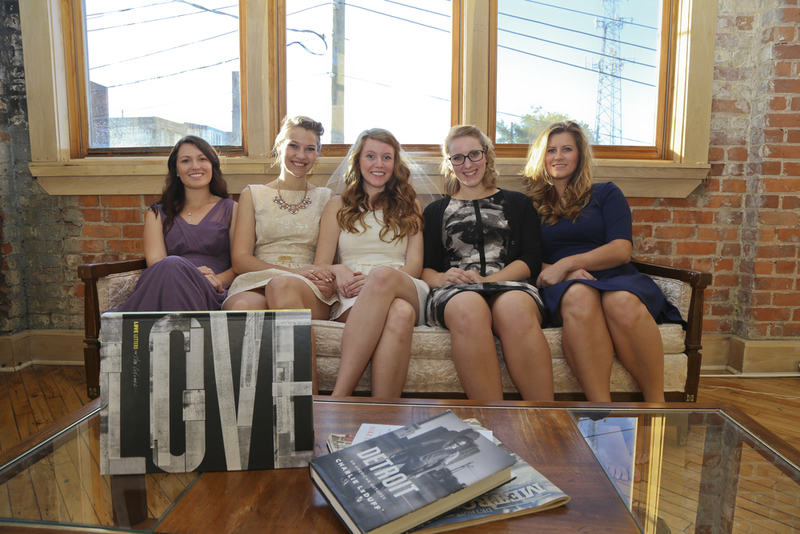 It was only fitting for me to get the Bride and her girls before we headed out to the venue. When I walked over to the coffee table with the books, part of me spazzed out a little bit because it was perfect for those to be there. So I staged accordingly to express the Love taking place in Detroit. We headed out en route to the Scarab Club, and when we arrived, Bekka had a few things to attend to, so I decided to get a few shots with her dress and also her and the bridesmaids bouquets. 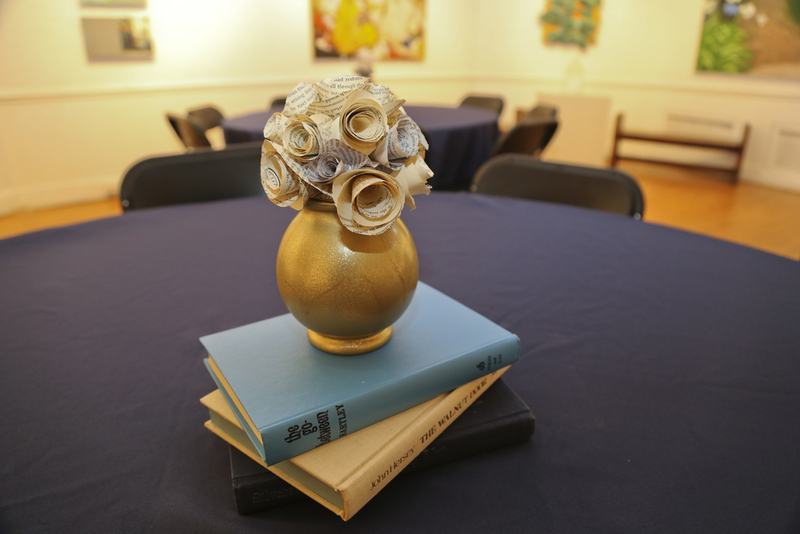 The bouquets were made of book pages. It really gives a reflective look at how Bekka and Matthias began their relationship. Bekka and Matthias shared a major in sociology, and she needed a book for class. She ordered it last minute, so it didn't arrive on time when she needed it. Just so happens that Matthias had the book she needed to borrow. She asked if she could use it, and in turn, he asked for her number. Fast forward some time, and we have Bekka as a beautiful bride. With ideal lighting in the upper room, and her already natural glow, everything was turning out to be perfect. When Matthias came in, we had to hide Bekka because they wanted to keep tradition, and also not ruin the surprise of his first sight of her. Matthias has now come into the room, and he has the smile of man who knows today is the direct result of the greatest decision he has made, in requesting Bekka's companionship in marriage. Me being who I am. I'm all about fun. I encourage wedding parties to have fun. Sure we can be traditional, but you want to remember the great times of such a special day. As Matthias checked above, the time for the ceremony is just about nigh. The first kiss as Mr. and Mrs. Austin! As you can tell, I LOVE black and white stills. After a few snaps alone with the couple, we headed back to wedding guests for the newlyweds' first dance. Now I'll be the first to say, I've never heard about a waffle wedding cake. When Bekka first mentioned it to me weeks before the wedding, I was caught off guard. But to my surprise, the cake looked awesome and tasted amazing. Now that the bridal party's back together, you can see how excited they are for Bekka and Matthias. Congrats Matthias and Bekka on tying the knot!